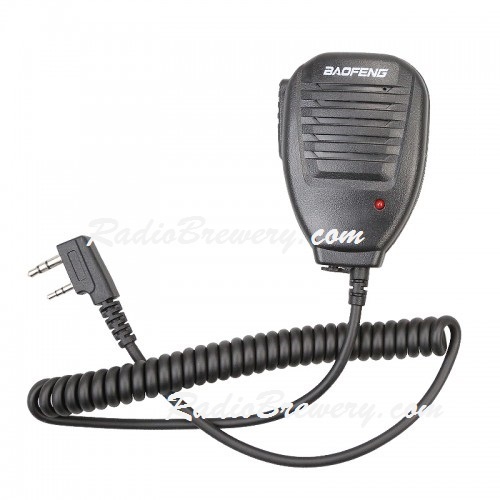 This handheld speaker mic can be easily plugged into your radios, and allows you to chat with your partners without holding your radio on hand. 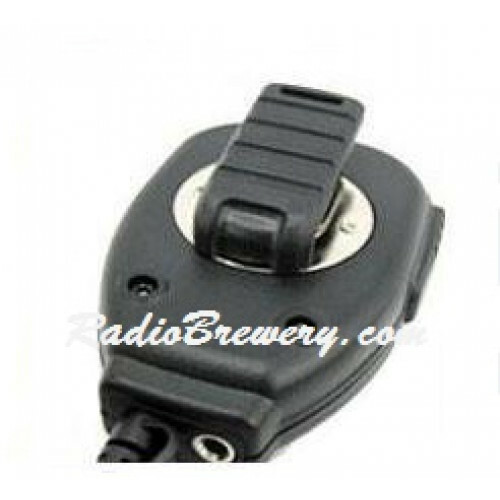 It can be universally used in public security, railway stations, hotels, etc. 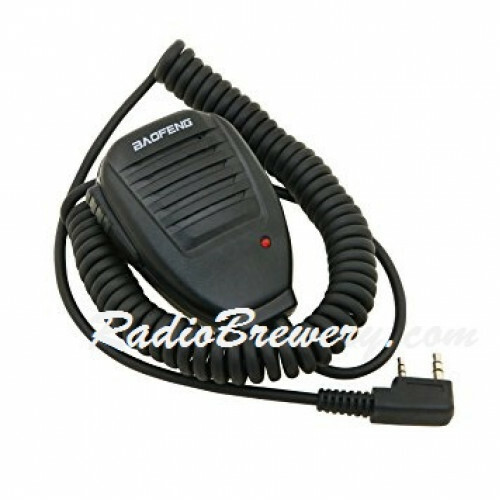 Handheld speaker microphone, easy to speak and hear. Red light indicates signal transmit status. With anti noise design microphone for clear communication. With mono channel earphone port design. 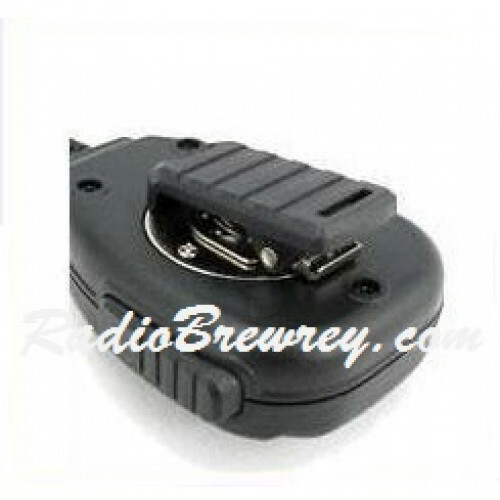 360° rotatable clip in the back allows you clip the microphone on collar or shoulder. 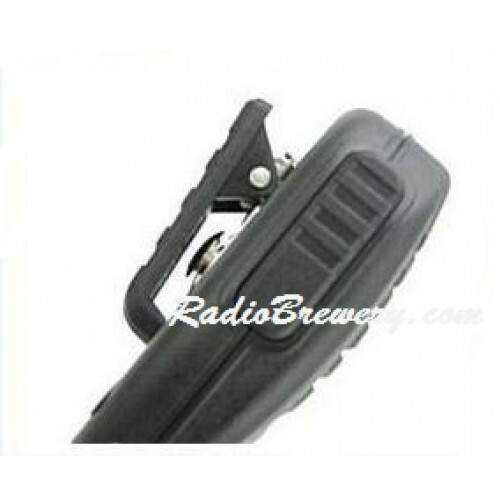 Stainless steel back clip design satisfies different professional requirements. Dimension : approx 5.4 x 2.5 x 3.2 inches. 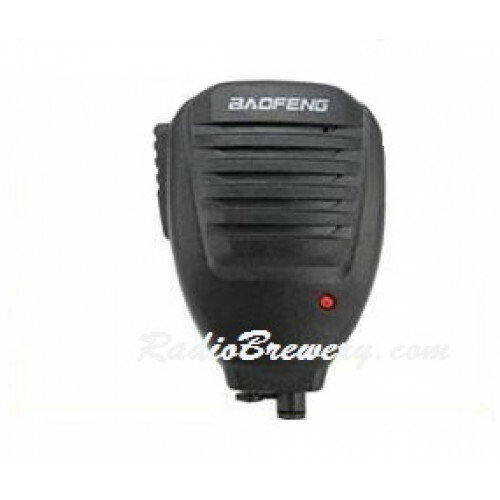 Suitable for: Baofeng UV 5R, 5RA, 5RE, 5R Plus.